A tidal wave of genomic information seems to wash up on shore each year. In 2014, an especially large wave – in those days long ago! – came ashore in the form of 45 entire genome sequences of birds. The relevance of these genomes and their hundreds of billions of letters of code representing all the major groups of birds were discussed in a series of scientific papers in the journal Science. Prior to 2014 only three bird genomes had been completed which were the chicken, turkey and finch. To give you some perspective on the sheer magnitude of this data set, in 2000 the first genome of a mammal was reported. That genome was the human genome and it took 10 years and over a billion dollars to complete. The chicken genome took years to finish and cost millions of dollars. In 2014 nearly every day a genome of an organism was published and the pace of sequencing has only accelerated since them. Many of these genomes are much larger and more complex than the human genome. DNA sequencers have become so fast and sophisticated that they can now read the entire genetic code of an organism in a few days and in some cases a single day. The challenge is no longer getting DNA sequences but rather processing the terabytes of data that a single genetic analyzer can produce in a few hours. When I started doing DNA sequencing as a graduate student I was thrilled to be able sequence a gene or two in a few weeks. Even in 2000 when I set up my lab I didn’t think that it would be possible to sequence whole genomes in a matter of hours. Today, billions of nucleotides, the ATCGs of the code, can be obtained for a few thousand dollars. In the current issue of Science the genome structure, relationships among birds and genes that are involved in unique bird characters such as bird songs, feathers, and teeth are explored. Teeth? But, birds lack true teeth don’t they? Yes, but nonetheless there is an entire paper devoted to looking at the genetics of teeth in birds. It is true that birds do not produce enamel or dentin, the hard materials that make up teeth in mammals and some reptiles. But, we can readily see that there are very ancient bird fossils from the time of the dinosaurs that had true teeth. From that we can infer that although no birds today have teeth their ancestors did. 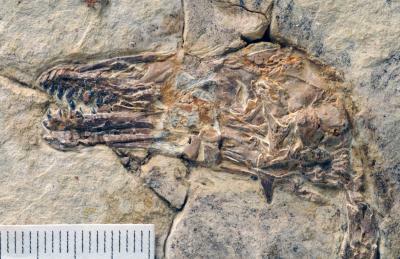 Until recently it might be possible to object to this inference by claiming that although fossil birds had teeth that there is no connection between those fossil birds and todays’ toothless birds. After all, couldn’t God could have created toothed birds and they all were killed in a global flood and only non-toothed birds survived to form the birds that we have today? The case of a toothed ancestry of all birds got a big boost from the bird genome sequencing project. Our ability to peer into the genomes of any organism on earth is rapidly becoming a reality. In those genomes we find the history of species written in their DNA. This history is not too dissimilar to reading the fossil record to reconstruct that past. Genes that were used in the past by a species are frequently found discarded in the genome where they decay over time. But that decay process takes a long time and so when we read the genome we not only read all the genes that are doing things today to make a bird a bird we are also reading all of its code that it has used in the past. This process of discovery of discarded genes would be similar to looking at the hard drive of a 10-year-old computer. After a few years you start to use new programs and others go into disuse. Even when your “erase” a program you really only erase the information about where the files are and allow that space to be written over again with new code. Many files from those old programs are still there but you have no way of using them because they are just broken pieces. So what do these new genomes reveal about teeth and birds? They reveal what we already knew from a few genomes but now we know from all major groups of birds: All birds have the genes for making teeth in their genomes! From many studies of mammalian teeth we know there are at least six genes involved in constructing the dentin and enamel of teeth. All six of those genes are found in modern birds. But if they have all these genes for making teeth why don’t they have teeth? It is very simple, although they all have the genes, those genes all have serious errors in their code or in some cases large pieces of the genes are missing. These are programs for making enamel and dentin that are not used by the birds because they are too messed up to work. With 48 entire genomes of birds scientists now have the data to show that the main gene responsible for enamel has the same function-losing mutation in every bird. This is very strong evidence that the ancestral genome, and by extension the ancestral bird, that gave rise to all modern birds experienced this mutation and then passed that same problematic gene on to all its descendants. Without the ability to produce enamel the other genes for tooth formation were not needed. Without any natural selection to maintain the integrity of those gene sequences, they have accumulated hundreds of mutations rendering all of these genes non-functional in all birds. So the genetic evidence strongly supports what was already inferred from the fossil record – that ancestral birds were able to produce teeth but then lost that ability before the diversified into the species that we see today. Birds aren’t the only animals that have tooth-making genes but don’t use them. Turtles, anteaters, and baleen whales also do not have teeth but, like birds, they also have broken versions of teeth-making genes. Let’s explore briefly some of the implications of these genomes on the view of young earth creationists (YECs) view of origins. YECs don’t accept common descent of all birds from a common ancestor much less from an ancient theropod dinosaur. They accept that birds have speciated within biblical “kinds” or “baramins.” These are groups of species, generally at the taxonomic level of a family that have a common ancestor but these ancestors were specially created separately from one another very recently. For example, all penguins may be a kind and thus God may have created one penguin species originally that was preserved on Noah’s ark and then diversified (ie. evolved) into all of the species of penguins that exist today and are in the fossil record. For more see my article on bird diversity on the ark: 10 Invoking Super-Speed Evolution: How to Squeeze 10,000 Bird Species on Noah’s Ark. If chicken, eagles, penguins, ostriches, finches, etc.. are each members of separately created bird kinds then each was created with their special attributes. None of these bird groups have teeth. Why then do all these bird groups have genomes with genes for making teeth in them? I don’t think that any YEC would a priori predict that these birds would have genes for making teeth. Such a prediction is made from the assumption of common ancestry. Sometimes creationists appeal to common design for similarities between organisms they believe don’t share a common ancestor. Most often this claim is made in reference to why humans and chimpanzees share so many features and have DNA sequences that are so similar. 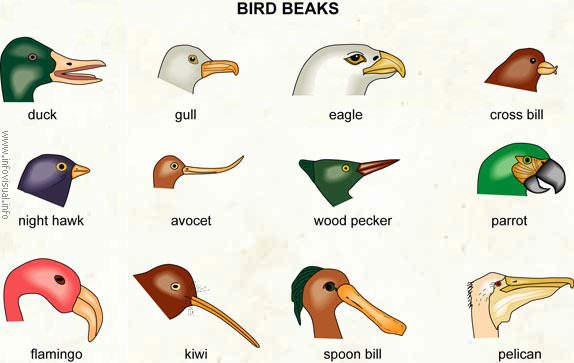 Bird beaks are very diverse. They are adapted for many different tasks. Does common design explain these toothy gene in birds? No, common design might have some appeal when their common design makes sense but why would God need to make birds with broken genes for making teeth. Aren’t birds “perfectly” designed for this world with beaks? Common design of non-functional parts makes no sense. There is one other possibility. A YEC could appeal to the fossil record and say since there were some birds that had teeth maybe all birds were created with teeth. Maybe birds lost their teeth because of Adam’s sin. Maybe beaks are the result of a degraded and less-perfect world. I think this is a bit silly. Beaks are amazing and clearly are adapted to serve birds amazingly well. How could a YEC possibly want to say that God didn’t create beaks but only gave them the ability to make beaks later because he knew they would lose their ability to make teeth. Abstract: Edentulism, the absence of teeth, has evolved convergently among vertebrates, including birds, turtles, and several lineages of mammals. Instead of teeth, modern birds (Neornithes) use a horny beak (rhamphotheca) and a muscular gizzard to acquire and process food. We performed comparative genomic analyses representing lineages of nearly all extant bird orders and recovered shared, inactivating mutations within genes expressed in both the enamel and dentin of teeth of other vertebrate species, indicating that the common ancestor of modern birds lacked mineralized teeth. We estimate that tooth loss, or at least the loss of enamel caps that provide the outer layer of mineralized teeth, occurred about 116 million years ago. It is really amazing how quickly genomes can be sequenced now. This reminds me of Jack Horner’s project for making a chickenosaurus. It will be interesting to so how people will react to evolutionary theory being used to create such a fantastic creature, if he is successful. I think you mean first mammal. The yeast genome was the first eukaryote, in 1995. I know because I had just laboriously mapped a gene on yeast chromosome III when it became the first eukaryotic chromosome sequenced. If I remember right, Drosophila and C. elegans had also been done before the human genome. Oh yeah,thanks. I was thinking vertebrates. Beyond eukaryotes I believe it was a small viral genome that gets the nod ad the first complete genome. I saw his comments and made some comments on the ICR FB page about it. I considered writing about his post but there are so many other more interesting things to write about that I’m going to let this one go. I think that’s just it, a YEC would say it because their entire system is presuppositional. If you presuppose that creation was only 6 24 hour days and you presuppose that all creatures came from those aboard the ark and you presuppose baraminology and you presuppose… etc. then it makes perfect sense to say “well God did create them with the ability to make beaks later, knowing they’d lose the ability to make teeth.” For the presuppositional YEC, it’s just the obvious move. There’s no need to appeal to fossil record or the Bible to justify it either, it just is the presupposition. Moreover, they could say that God put those broken tooth genes in there to allow for teeth to be used should they need them at some future point after the ark. When the core of one’s view is an a priori, there just is nothing that can falsify it. Thus, all data will be assumed to fit within the system, no matter how strange it is.